Surf legend Gerry Lopez stood next to me on stand-up paddleboard, watching a bump in the ocean grow as it inched toward us. “Paddle, paddle, you got it,” the “Pipeline master” said in a gentle, encouraging tone. I dug my paddle deep into the ocean’s clear blue surface, trying to maintain my balance, and the wave picked the board up under my feet. Soon I was gliding down the line clutching my paddle with Lopez, one of the best tube riders and most respected surfers in the world, behind me. A party wave. Until I nearly nailed the guy sitting on the inside, and I bailed out of the wave to avoid a massive collision. It would be my last wave during a magical surf trip to Mexico that introduced me to an upscale and unexpected side of our neighboring country – a coastal haven that gave me a newfound perspective on a region that has suffered blows to tourism and its image over the past few years. 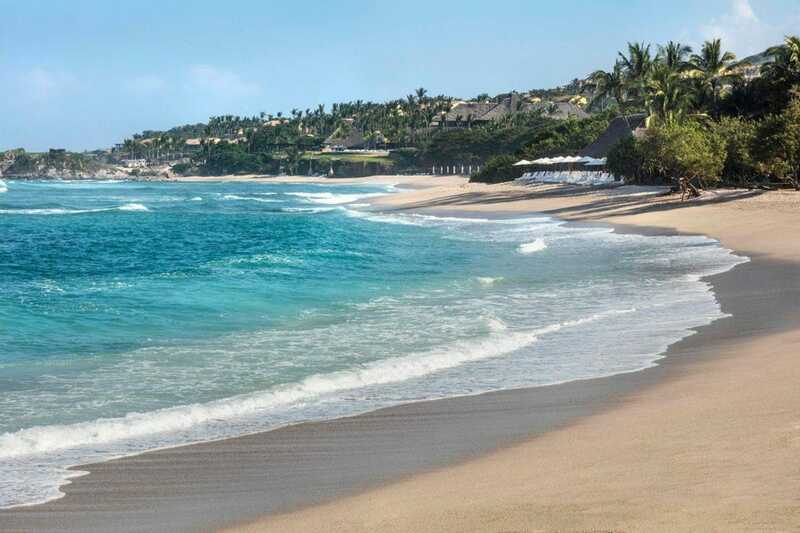 I first heard of Punta de Mita from a Billabong all-girls surf and stand-up paddleboard (everybody uses the term “SUP,” so I will too from now on) trip a few months ago. The stories of a mellow, right-hand longboard wave comparable to Malibu’s that went on for what seems like forever, told by the trip organizer Cass Husted, had me searching for more about this secluded spot about 40 minutes north of Puerto Vallarta. Retirement in Puerto Vallarta–want to Golf All Winter? Are you tired of shoveling snow, scraping windshields, and wading through slush throughout the winter? Would you prefer having the ability to play golf everyday this winter? If so, you should consider Puerto Vallarta, Mexico, otherwise known as Vallarta or PV by the locals.